How should you handle a bad situation? Facebook is facing a crisis. Cambridge Analytica used 50 million users’ personal information without their permission to create targeted campaigns during the 2016 presidential campaign. Users want answers. The media wants answers. Congress wants answers. Still, during this storm, Facebook’s CEO Mark Zuckerberg was conspicuously absent. From news accounts, it’s not just that he wasn’t appearing in public. He also seems to be invisible internally. One news account was speculating that we had more concern about protecting his brand than facing the bigger issues. He broke his silence yesterday, after #WheresZuck took over social media. By not being present, his leadership brand has taken the hit. Get in front of it. News travels fast these days. Whether it’s through social media or the good old fashion office grapevine, people will know something has happened. Don’t wait to acknowledge the issue. Own it. I very vividly remember sitting in a meeting with a CEO and his team. The CEO called one of his directs out about something that didn’t go well. The leader’s response was simple: “I made a mistake. Here’s what I’m doing to resolve the issue.” No hemming and hawing. No blaming. And, this admission didn’t tarnish his reputation. It continued to elevate it. Both before and after, he was consistently regarded as one of the best division heads in the company. Keep people informed. For a situation like the one Facebook is dealing with, there is no quick fix. A multitude of conversations are happening and decisions need to be made out of the public eye. That said, employees and customers need to know that something is happening. Whether the mistake is visible to 1 person or millions, they need to know that something is happening. And, avoid the platitudes. “We’re in discussions” or “We’re assessing the situation” sound like corporate-speak. Treat people like the adults they are. Even if there is no decision or resolution yet, people need to know what has been done and what your general goals are for resolution. Say “I’m sorry.” Or, “I take responsibility.” Or, “I apologize.” But only if you mean it. Leaders are successful, in part, because of the actions they take, the decisions they make, and the results they get. That success can make it hard to admit that what you did or how it turned out had a negative impact or hurt people. Trust is the foundation of leadership. Without saying those two or three small words when it’s needed, that foundation will erode. You could end up being labeled as that person who thinks he or she can do no wrong. How have you seen leaders handle bad situations? How Did That Conversation Go? Powerfully effective leadership requires a great deal of skill – or should I say skills. What do change agility, delegation, performance management, and motivation all have in common? Conversation. Not just talking to or at someone or some group, but talking WITH them. At the root of almost all leadership successes and failures are conversations that did or did not go well. 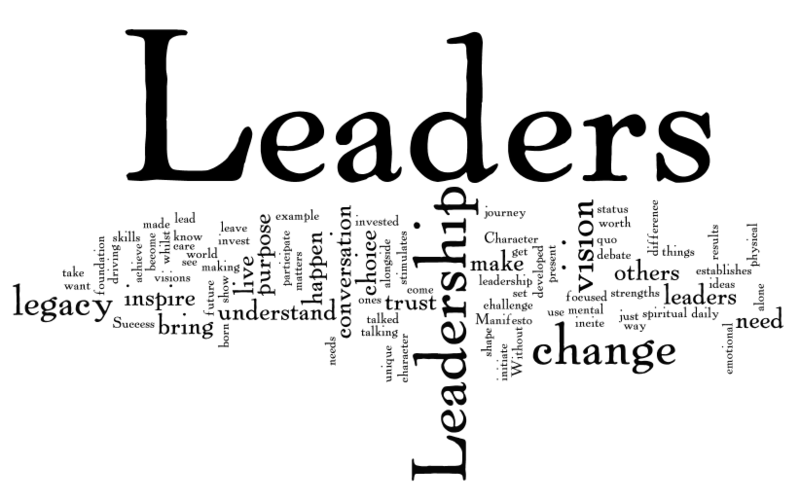 Leadership conversations can run the gamut from basic to complicated and they are ubiquitous. A rather basic conversation can change a performance issue. A conversation can create the win-win of an effectively delegated task or project. Conversations do the heavy lifting of leading change. Conversations are used to explain a strategy and enlist an executive team to execute it. Conversations articulate the vision in a meaningful, real way and provide those irresistible invitations to come along over a period of time. As business becomes ever more complex and changing, there is less room for misunderstanding, mistrust, and disengagement. And yet, we increasingly rely on email and texting to communicate – tools that often contribute to more misunderstanding and can create mistrust. Authentic. Be aware of who you are and how you are bringing your best self to the conversation. Share your perspectives, learning, insights, and experiences in an honest way. Break down the walls and let others see the person behind the title. Also, be authentic about what the conversation itself is about. Is it a conversation about performance? About a new strategy? About a concern? Say so at the beginning. Purposeful. Approach each conversation with a sense of purpose. Too often we treat conversations as transactions — what do I need to get from this right now? Being purposeful is about thinking about the conversation in the broader context of the relationship you have with the individual or group. What is their purpose? What do they need from this conversation? How does this fit with business strategy and upcoming initiatives? Jot down a few bullets before the conversation to focus your attention. Excellent questions. Focus on questions that add clarity to the conversation. “Why?” is one of the most useful questions. It’s thought provoking. It can uncover assumptions, perspectives and clarify what really needs to be discussed. Win-win-win. Powerful leadership conversations focus on creating a good outcome for the three parties involved — the organization, the other person/group and you. That’s not to say that all conversation are positive. Some, like performance or downsizing conversations, can be difficult. However, even difficult conversations can have a good result. As a leader, do you spend more time crafting emails and presentations than working on the conversations you have every day? What opportunities are you missing? Mastering the art and science of conversation will improve or help you better leverage virtually every skill you need if you want to excel as a leader in our rapidly changing world. At NextBridge, we place a premium on great conversations as we help our clients navigate organizational change and leadership development. What conversation would you like to have? Call me at 978-475-8424. I’d love to hear what you have to say. https://i1.wp.com/nextbridgeconsulting.com/wp-content/uploads/Business-Team-Coffee-Break-Relax-Concept.png?fit=800%2C400&ssl=1 400 800 nextbridgeconsulting http://nextbridgeconsulting.com/wp-content/uploads/logo-2-new_lngc2.png nextbridgeconsulting2018-01-25 19:32:382018-06-19 20:44:17How Did That Conversation Go? Yesterday, I had the opportunity to spend time with job seekers at the Harvard EdPortal. We were discussing the importance of being change ready and resilient. We talked about how important it is during a job search. And, how important it will continue to be once they land their next opportunity. Here are the five tips I shared with them on being resilient in the ever-changing world we live and work in. Stay positive — what is the opportunity? : The natural human reaction to change is to think about what you are losing or have lost. Instead, think about what opportunities a new or unexpected situation is affording you. How can this benefit you even as you help the organization? What skills do you bring to the table that will help you thrive? What will you need to do differently to make that happen? Focus on what you are learning: Every experience in life allows us to learn something, and nowhere is this more true than in a changing environment. It may be we learn more precisely what it is we like to do (or not do). Or where we excel and where we struggle. If we remain open-minded, we often find new ways of seeing and doing things. New experiences can also tell us what we need to unlearn. What is it that is no longer serving us well? What mental models are getting in the way? The greatest skill development comes when we are faced with new challenges – if we face them with energy and intention. Identify what is not changing: Even though it may seem like everything is changing, there are many things that are not. Who you are as a person, what you bring to a situation, and the skills, experience and capabilities you have are not changing. In a more tangible way, there are probably many things about your organization that are not changing. Does it have the same mission? Are its core values immutable? Is what delights your customers the same? Focus on what you do control: Usually we have more control than we initially recognize. Too often people feel like change is something being done to them. They feel there is no option but to just accept it as it is. In some ways, this can be true. For example, if your company is being acquired, you can’t stop the sale from occurring. You do, however, control how you think about and respond to the change. You can choose to resist or make the best of the situation. You can ask how to best contribute to the new organization. You can seek out information, education, and new projects that align with the changes. You can provide constructive feedback in a positive way at the appropriate times. You can reach out to help others make adjustments. 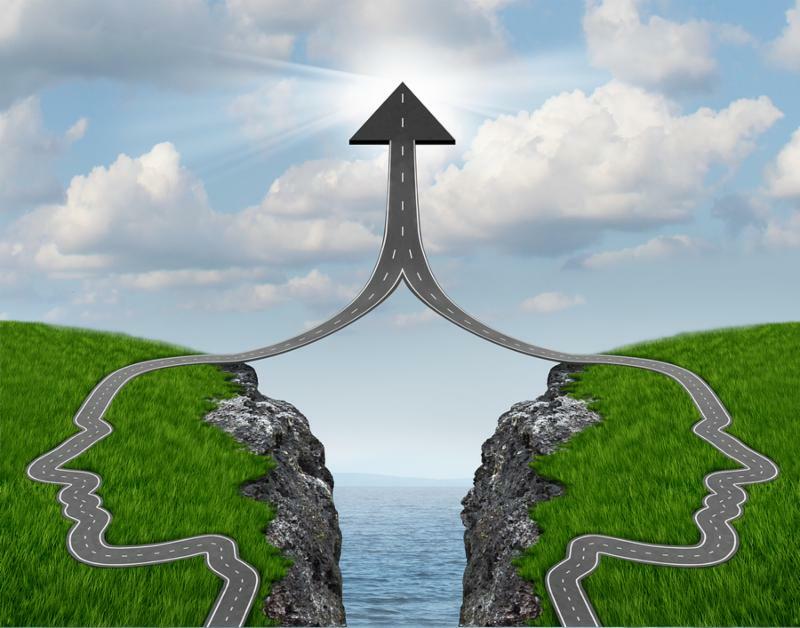 Ultimately, if the new situation isn’t to your liking, you can opt to move on – maintaining your relationships and reputation as you go. Control is much more of an internal state of mind than an objective, immoveable reality. Build a support system: The most resilient people are not resilient because they can face any situation on their own. They are resilient because they have a network and support system that helps them in a variety of ways. Sometimes it’s emotional support. Sometimes it’s resource support. Sometimes its expertise. Sometimes it’s something you don’t even know you need yet. Resilience is a multifaceted skill, which can be purposefully developed over time. It’s also a state of mind. As either a job seeker or a leader looking to develop resilience where you are now, it begins with how you think about the challenges and changes in front of you. What are you focused on? We’d love to hear your tips for building resilience. Share them with us by clicking here. — H. Jackson Brown Jr.
A couple of weeks ago, I decided to drag my husband to dance class. I’ve always loved to dance. Him? Not so much. I thought the class would be fun. We’d have some time together. Maybe he would be more comfortable on the dance floor. We could learn some real dance moves to take the place of the ones we’ve improvised since the early 90’s. What I didn’t expect was an amazing lesson on leadership. What leadership is: When talking about leading your dance partner, the instructor described it as an irresistible invitation to come along with you. Think of the great leaders you’ve known. Has that vision they’ve created and the actions they’ve taken created an irresistible invitation to come along? What makes great leadership different: When a dance partner is leading really, really well, the other partner doesn’t stop to think about being led. It is effortless. It is like the two of you are naturally in sync. You aren’t constantly questioning the path or trying to move in a different direction. The leader operationalizes that irresistible invitation. Leaders step up when the need arises: Traditionally, we’re taught that when a man and woman are dancing together, the man leads. Actually, as I learned, either partner can lead. If one finds that their partner just keeps doing the same step over and over, the other partner can take the lead and move the couple into the next series of steps. When leadership is shared, we move where we need to go rather than staying on a course that may no longer be the correct one. Indecision makes for sore toes: When leading, it’s important to be at least one step ahead so that when the time comes, you effortlessly move on to what’s next. If you haven’t thought about your next step or are not sending the correct messages, your partner assumes you are continuing on the same path. You move in one direction. Your partner moves in the other. Now, you have sore toes. That there is always another step: Just when you think you have the dance down and know how to lead, the instructor adds another series of steps that are completely different from what you just got comfortable doing. The demands of leadership change. We have to be open to knowing that what we were just successful doing, is now only part of what’s required of us. After four lessons my husband and I are still occasionally stepping on each others’ toes, but we’re learning to lead each other in new ways that challenge and engage us, bringing a new energy to the dance floor! NextBridge has been teaching the dance of leadership and helping organizations become more change agile for nearly 20 years. Why question-asking is a critical leadership tool and should be one of the sharpest in your change toolbox. “What’s Next?” It’s a simple question, really. Yet it has the power to dramatically improve your leadership, your team and your organization. The power lies in the ability to create forward-looking, curious, engaged individuals. And, more broadly, to build change agility into the DNA of your organization. In recent years, neuroscience has confirmed and explained much about the longstanding wisdom and effectiveness of asking questions. With greater use, it builds relationships and improves learning. Those, in turn, are fundamental to effective change leadership, team performance and building an agile culture. We’ll circle back to the particular effectiveness of “What’s Next?” and what you can do starting today to improve your leadership. First, why are questions so effective? Why Do Questions Matter So Much? In part, the value of questions is directly related to their scarcity. Too many leaders spend too much time telling and not enough time asking. According to Gary Cohen, author of Just Ask Leadership, “95% of leaders prefer to be asked questions, rather than told what to do. And yet, according to a survey I conducted, these same leaders gave instructions 58% of the time rather than asking coworkers for their input.” There’s a persistent belief that managers are supposed to have all the answers. Additionally, most business cultures place a premium on acting and doing. It’s no wonder that taking time to simply ask and reflect isn’t a consistent part of most leaders’ repertoire. The power of questions, and their impact on performance, lies squarely in their simplicity and their fundamental connection to relationships, learning and creativity. At the heart of great leadership, teamwork and cultures are relationships. Their importance can’t be overstated. Years of research and practical observation demonstrate this. So how do you build relationships? Building rapport and trust are a good starting point. Fundamentally, people want to be listened to, understood, and even empathized with – no surprise to those familiar with emotional intelligence. Asking questions is a powerful way to do all three. Neuroscience sheds some additional light on the impact of questions. MRIs show that when asked a question, there is greater neural activity in the areas of the brain related to reward and pleasure. Serotonin levels also increase. This is especially true when you’re asked for your opinion. Asking someone a question is like giving them a shot of chemical brain energy. The more important the question is to them, the bigger the shot. No wonder people rate those who ask questions as being friendlier. Consider it yourself – would you prefer to be asked or told something? Questions Increase Learning and Creativity. Since Socrates developed (you guessed it) the Socratic method, the use of questions to promote learning has had an impact on everything from education to problem-solving to self-reflection. More recently, research done by Clayton Christensen, Hal Gregersen and Jeff Dyer demonstrates that being inquisitive pays off. Their work shows that the most successful and innovative executives are the ones who ask great questions. They challenge the status quo, looking at everything from their business model to their strategy to their planning methodology. Importantly, they also question their own assumptions. Furthermore, neuroscientific research on learning shows that asking questions creates mental dexterity. It creates new neural pathways instead of deepening existing ones. Literally and figuratively, it keeps us from wearing mental ruts into our brains. A workforce with greater mental dexterity is exactly the kind of thing that helps build change-agile DNA into your culture. What’s the Connection Between Asking Questions and Better Change Leadership and Teamwork? Business research consistently bears out that the quality of the relationship an employee has with their manager is one of the top determinants of everything from engagement and retention to development and performance. Likewise, learning also impacts leadership effectiveness. Nimble learners on your team develop skills more quickly and become more versatile and useful to unit performance. The greater the opportunity and ability to learn, the more engaged and career-focused they become. All this bodes well for change agile employees. Relationships and learning are also essential to high-performing teams. Openness to feedback, conflict resolution, collaboration and decision-making all benefit greatly from the quality of relationships among team members. If you have a team of people who are good at asking questions and are used to being asked themselves, you have a team that – all other things being equal – will work more productively together. Their collective curiosity and openness to new ideas will engender more creativity and innovation. Whether your team is engaged in basic problem solving, product development, or process reengineering, a team culture that is comfortable with and good at asking questions vastly outperforms more traditional, hierarchical, stoic teams. It’s forward-looking. It encourages people to think and act in ways that are conducive to change and innovation. Asked regularly of ourselves and others, it creates a mindset and habit of behavior that finds its way into the culture. What’s more, this question engenders a bias toward continuous improvement, which is essential in a change-oriented organization. “What’s next” is also the Swiss Army Knife of questions. It’s relevant to just about any aspect of development, client relationship management and leadership. What’s next in my career? What should my team be focused on next with client X? Who should be next in line for that senior leadership role? Where will our greatest competition be coming from over the next 3 years? In most companies, there are business and HR processes and tools that help us ask and answer many of these questions. If effectively managed and genuinely embraced by the organization, they are enormously helpful in supporting the business and the underlying culture. But that’s the point – if the underlying culture discourages people from regularly asking good questions, those processes are building on an uneven foundation. Day-to-day conversations, relationships and team norms over time do so much to build culture. Certainly, there’s a lot more to building great leaders and great cultures than just asking questions. But asking questions is a critical building block and a relatively easy skill to learn. Where to start? Look at your schedule for the rest of the day. Add two questions you have for each major meeting or to-do item left on your plate. One question is for yourself (perhaps around a tough issue you haven’t figured out yet) and the other for an employee, a peer or your manager. At the start every day, do the same thing. Not only will you be asking more questions, you’ll be building in some valuable reflection time. To accelerate your skill development, you should seek feedback on your questioning skills. At the end of a conversation or meeting ask: “what didn’t I ask that I could have?” People may shy away from providing honest feedback at first. Don’t let it deter you. Be creative. Finally, get those around you to ask “what’s next?” In the long run, acting as a role model is the most effective way to do this, but directly encouraging people to ask questions will help others develop the habit more quickly. Is This the Magic Bullet?… and Other Caveats. Of course asking questions doesn’t solve all your problems. However, if done genuinely and regularly, it sure does change the way others perceive you. And it makes you a more curious and knowledgeable person. That said, here are a few important caveats. First, build trust within the relationship and within the conversation before you ask “what’s next?” You want to make sure your audience knows you value their past accomplishments and respect their ideas and feelings. For example, make sure your employees don’t think you’re never happy with their performance because every time you do something good, you’re asking for more. Second, make sure you’re walking the talk. Demonstrate that you’re open to questions from others and that you ask yourself “what’s next” on a regular basis as well. Third, it’s possible to ask bad questions, ask them at the wrong time, or ask too many of them. Here’s a way to think about it. You want to push the boundaries at least a little. If you’re not making yourself and others at least a bit uncomfortable, you’re probably not asking the right questions. But if you’re making them really uncomfortable, you’re probably not asking questions in the right way. Start small, learn from your successes and mis-steps, and keep at it. Being asked a question makes people feel good. Done regularly and effectively, it helps builds rapport and trust. And trust is arguably the most critical element of a strong relationship between manager and employee, and among high performing team members. Executive-level role modelling is critical for speedy cultural change. The higher up in the organization it starts, the more comfortable others are doing it and the more fully it cascades. But for your own effectiveness and for your career, it’s important to start where you are. Asking good questions makes you more effective in your job and it enhances your credibility. It also demonstrates intelligence, curiosity, and your interest in others… without monopolizing the conversation. And asking “what’s next” encourages people to be future-oriented and change-focused. Asking good questions should be a priority for every leader, and one of their go-to tools. Don’t you think? Would you like to talk with someone about specific ways to improve the change leadership skills and change-agility of your organization? NextBridge has been doing just that for nearly 20 years. How can we help you? With all the storm coverage in the past few days, I don’t think there is anyone who can say they didn’t see it coming. However, in our work lives, we are sometimes blindsided. When I was working with a client several years ago, their successor for a key job in Asia left for an opportunity to run a start up in California. The reaction of the CEO and Asian leader at the time was ‘we never saw it coming’. 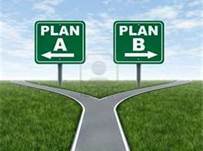 Some people don’t want to have a plan B because they think it makes it too easy to not fully pursue plan A. As you go into your next planning cycle, include scenario planning around some key initiatives. Take the time to run through potential opportunities or issues that may arise. You may identify an even better plan than the one you had in mind, one that allows you to take advantage of an opportunity you didn’t think about before. Or you may be able to mitigate a threat should it actually arise. The Clash asked us back in the 80’s Should I Stay or Should I Go? Several of you are thinking about succession for roles that will be vacant in a few years because of retirement — whatever that looks like these days. Just like so many other things boomers are redefining that, too. That’s another topic for another day. The fact on the ground today is that there are targeted senior positions within organizations that are being impacted by the impending wave of retirement. And, those retirements are happening in organizations undergoing significant change. I saw it a couple of years ago in a client company where I was doing an organization design and workforce/succession planning engagement. One of the top 5 people in the company was planning on retirement in the next few years. He had grown with the company from it’s very early days some 25+ years ago and was an executive leader for most of that time. Identifying his successor wasn’t just about who could fill the job. There were two other key factors. The first impacted identifying the successor. The business was undergoing a significant shift in business strategy and the executive’s role and organization were going to be significantly different in the future. The second had to do with development. How do you transfer key knowledge without stifling the need for next generation thinking? How could the successor break through quickly on the executive team and as leader of the new organization? Here are 3 key steps anyone in this situation should take. Define the future. Don’t just fill the present. Too often succession planning uses a snapshot of the role today to identify its incumbent of tomorrow. Just as the business strategy drives budgeting and company financials, it should also drive the identification of successors. 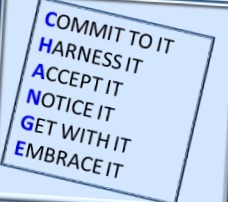 Make change leadership a key assessment point for successors. If a successor will be taking on the new role during significant change, make it a priority to assess his/her change and influence capabilities and if they’re lacking, build them. Sounds obvious. Often overlooked. http://nextbridgeconsulting.com/wp-content/uploads/logo-2-new_lngc2.png 0 0 nextbridgeconsulting http://nextbridgeconsulting.com/wp-content/uploads/logo-2-new_lngc2.png nextbridgeconsulting2015-11-11 08:00:362016-12-25 04:52:44Next! i4cp defines agility as ‘the ability to move quickly, decisively, and effectively in anticipating and taking advantage of change.” The question is, how do you create this ability in your organization? According to i4cp and based on my own experience, high performing organizations instill agility by being prepared. That’s right. You manage change by anticipating, planning and taking advantage of it. How can you make that happen? Make it a regular practice to look outside the organization to see what may be just over the horizon. Most organizations only look as far as the trends within their industry. The best organizations look at the broader context. They look at other industries from which they can learn lessons. They look at societal, political and economic changes. Opportunities are often identified where on the surface, none may seem to exist. When people are mentally able to analyze, play with and explore potential change, they are more easily able to embrace it when it actually occurs. Assess your organization’s capabilities in the context of those potential changes. Do you have the talent and resources you need to take advantage of what the future may hold? If not, how will you develop or gain those capabilities. Determine how agile people are in your organization. Do you hire for it? Is agility an expectation? Is it rewarded? Leverage what makes you successful now but don’t rely on it for your future. Often, success can reduce one’s ability to change. However, when success is paired with the expectations that change is part of success and that change will happen, starting from a position of strength can make change more powerful. How many of these characteristics describe your organization? Organizations are beastly. They can be complicated, unnerving, and overwhelming. Many times they are also ineffective or outdated. Too often, we go along, adding new tasks, taking on different responsibilities, absorbing new groups into our department, division or territory without stopping to think about how this work should be done. We rarely say ‘can we do this work?” We take it on because saying no could have a negative impact on careers and the potential to be considered when something really exciting comes along. When we do think about how we should be organized to meet the challenges of today and tomorrow, we may have a hard time seeing the opportunities for change that exist. The boxes are arranged a certain way on the paper. Certain people do certain jobs. We’ve always been successful in the past and we’ll continue to be successful just tweaking our organization here or there. The plain fact is that sometimes, you have to start with a blank sheet of paper. You have to not be constrained by who you have on the team now or what the skill sets are. You need to start by asking ‘should we do this?’ before asking ‘how will we do this?” I recently worked with an executive and her team whose department played an important strategic role. She’d been in her role over 10 years and in that time, the organization had doubled in size, the culture had shifted towards increased speed and innovation and the industry was changing rapidly. In those 10 years, the way their group was organized had not changed in any substantive way. It was the same size with a highly tenured staff that by all accounts did a terrific job. However, the demands placed on it were several times what they once were and it was unsustainable. We had to step back and really look at what they needed to do to move the entire organization forward and what that meant for her group. The answer to how it would all get done could no longer be ‘who wants to take this on?’ We needed to look at what they should be doing, what they should say no to, the roles and structure and decide whether they had what they needed and if not, how to make that happen. 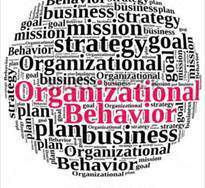 Take a look at your organization. Are you continuing to just ask people to do more? Or, is it time to take a hard look at what you’re doing, how you’re doing it and who’s doing it. I saw my in-laws recently and once again, I had a conversation with my father-in-law about how baffling new technology is to him and how he wants nothing to do with it. Why? Complexity. There are too many options, too many things coming at you at one time and it changes too rapidly. Economic uncertainty persists. We are slowly moving out of recession but it’s still not clear how this economy is going to grow. Breakneck technological advances. Facebook. Twitter. Ipad. Need I say more. Generational diversity. Four generations in the workplace with each bringing their own values and constructs about work, its place in our lives, and how it should be done. Multiple work options. Full time. Part time. Contractors. Temporary. Virtual. Many working side by side under very different job arrangements. We compete and collaborate globally. Our global economies are intertwined. Populations in India and China are becoming more educated and wage equity is expected by the middle of this century. What do leaders need to succeed in the complex world of work? In this complexity, a leader needs to see the way forward for their organization and create an environment that leverages the opportunities brought by complexity. As you develop future leaders, consider what our research points to as the five key abilities for successful future senior leaders. The ability to foresee societal, political and industry trends. It’s not enough to know your industry or your business anymore. Competition and innovation can come from anywhere. The future leader needs to be a lifelong learner and insatiably curious about what is coming from a wide variety of sectors. The ability to think strategically. The future leader needs to be able to integrate this information and ideas to create strategies that will lay a foundation for growth. The ability to create and communicate a compelling vision and strategy. Compelling is the key word here. Future leaders will need to engage a more diverse and dispersed workforce than ever before. The ability to manage talent. Ideas, innovation, great products and great service will come from the talent in the organization. It is your competitive advantage. It needs to be identified, developed and built just like any other key asset you have. The ability to create a culture of accountability. People want to be associated with excellence. They want to know that strong performance is viewed differently than just punching the clock.